The service station and fast food complex is strategically located. Photo: Supplied. 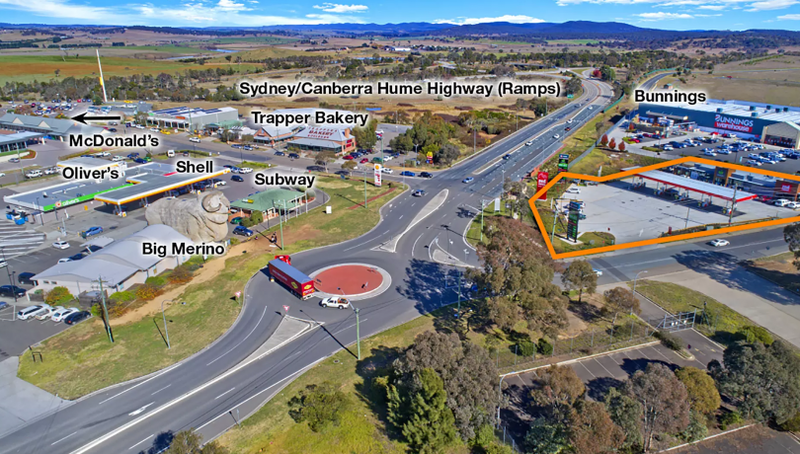 A Chinese investor has bought a newly built petrol station and fast food complex in Goulburn for $4.53 million. Opposite the Big Merino, the complex at 180 Hume Street has Woolworths as the major tenant, is surrounded by big brand outlets and is within 500 metres of ramps to the Hume Highway. It had only been completed earlier this year by Canberra-based developer and former Goulburn man Rod Thompson, who bought the land from Bunnings in May, 2013, according to The Goulburn Post. The report said that Oporto and Harry’s Cafe De Wheels were also set to join the precinct. Listing agent Darren Beehag of Burgess Rawson said the buyer had fought off strong competition at auction to secure the strategically positioned property. He said the 4317 square metre corner site had a 15-year lease to Woolworths, which commenced in March 2017 with options to 2052, and a 10-year lease to Red Rooster which commenced in March 2017 with options to 2047. Mr Beehag said it was a strong result but not unexpected. “It’s a very, very good site, because it’s adjacent to a successful Bunnings, and because it’s very well known to those who travel the Sydney to Canberra, or Sydney to Melbourne route,” Mr Beehag said. He said there was demand for more facilities in the area, both from locals and interstate drivers. “Goulburn is growing but it’s a combination of the two. I think there was untapped demand for another service station along the highway,” he said. Is Goulburn your Canberra to Sydney or Hume Highway stop to refuel and revive? On my frequent Blue Mountains road trips I used to stop in Goulburn but following the loss of the Greengrocer cafe have moved my stop to either Taralga or Oberon depending on water consumption. I found the area around the big Merino was getting too busy and the offerings in Taralga and Oberon have improved significantly. On my most recent trip, I didn’t stop anywhere – obviously not enough water was consumed. I don’t stop in Goulburn when going to Sydney but it could be an option on the way back. The issue with that location is that it’s not visible from Hume Hwy. People driving past feel like it’s too far because you can’t see it from the freeway. There’s this perception that it’ll take away more time from your trip. In reality it should only set you back like 2 more mins over stopping in Phasants/Marulan. But even having said that, that location is strategic in that it’s within a city and right next to Bunnings. This servo won’t only be relying on freeway traffic to survive. No. Or very rarely. 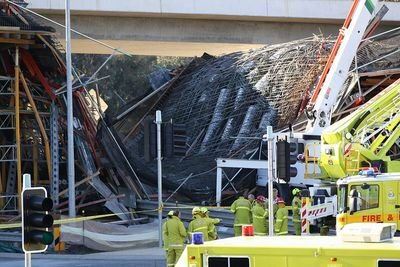 Honestly, if you can’t drive Canberra to Sydney in one go, hand in your licence. Well the experts all say stop and stretch every 2 hours so bit rich to say hand licence in. And for me my bladder wouldn’t make it to Sydney in one go. That said my stop going to Sydney was Mobil Phesants Nest and BP Marulan heading south. Goulburn has always been ‘too close’ coming from/to Canberra. Bit could see if heading Sydney to Melbourne it would make a handy and well timed stop. Most of my colleagues, predominantly young people, stop at Trappers going both ways,. Yeah it is about midway. But be buggered going to there, though their coffee these days is quite ok. Better than the machines at BP and 7 Eleven. Though coffee adds to the bladder issue. Harry’s Cafe de Wheels? Are they into fast food franchising now? From my knowledge of them at Wooloomooloo, all they offer is a meat pie with peas on top. Pie Face went bust despite offering a diversified sit-down menu with several options. I can’t see an outfit like Harry’s Cafe de Wheels succeeding outside the caravan on Sydney harbour at all.